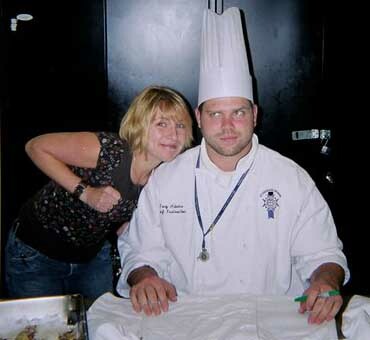 What Are You Doing Friday For Dinner? but there are some seats left! This month's dinner features parmesan crusted lamb or the vegetarian option of a goat cheese and beet risotto. Start with a wild mushroom soup, and a salad of freshly-picked farm-grown greens. Finish with a delectable tiramisu! 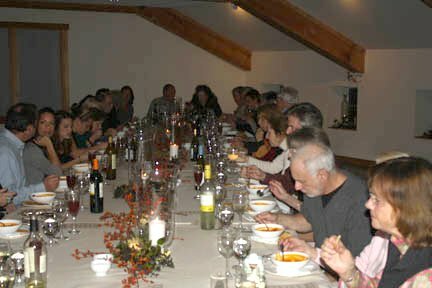 All served in the cozy Hayloft! Farm Talk begins at 10am in the Hayloft. 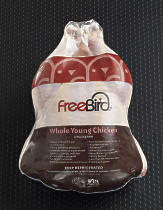 In our continual quest to provide the highest quality foods to you, we now carry FreeBird Organic Chickens. To be organic, specific standards must be met--and certified--by an independent, third party. FreeBird Organic Chickens are certified by QAI. To be certified as organic, the chickens must be fed an organic diet for their entire lives. (Organic feed is grown in soil that has been free of chemical fertilizers and pesticides for at least three years.) They cannot receive antibiotics or drugs and must have access to the outdoors. That access to the outdoors is what allows them to be called free range organic. Call in any day by 2pm to reserve your Freebird Chicken for dinner. Pick it up, hot and freshly baked, between 4 and 6pm. Your chicken will be in a foil pan, ready to go right into your oven, with reheating instructions attached. Custom salads at the kitchen counter are back! Using our own fresh greens and tons of terrific toppings, you can have a fresh mesclun salad made to your specifications with your choice of nine veggies, seven proteins, and eight kinds of cheese! cup of hot farm-made soup! Bring your laptop, pick up our wifi signal, log on, and sit down to enjoy your lunch. 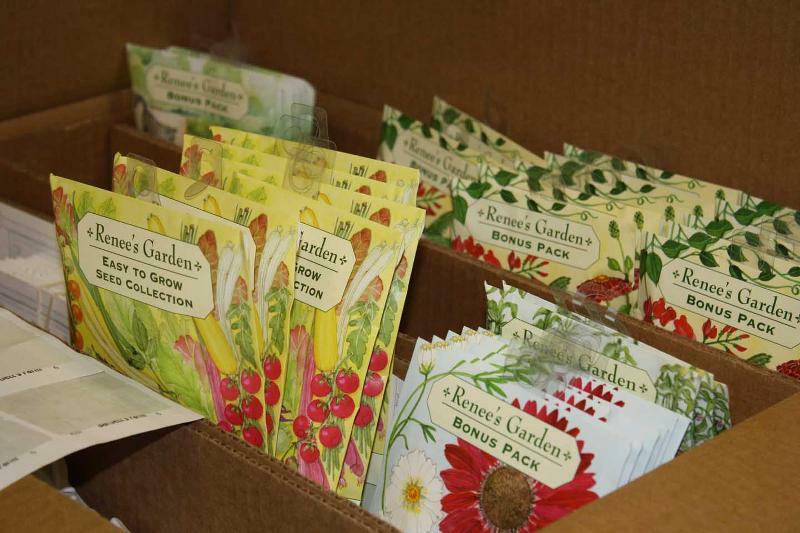 The sun was shining in our office yesterday as Liz and Joan unpacked the first shipment of Renee's Garden Seeds. We oooh'd and ahhh'd about what we want to grow in our own gardens. There are some new offerings this year, so come on out and see what to put in YOUR garden! Non-Superbowl Party, we are snack headquarters for the weekend! Arcade Snacks are 50% off and there's a great selection of chips, dips, guacamole, and salsas. heat up for your guests. But plan ahead. We're open Monday through Saturday. We are bringing in fresh Pain d'Avignon bread every Friday and Saturday. The standard order will be for Baguettes, Ciabatta, Country Loaf and Sourdough. In addition, you may special order these loaves through the kitchen counter. Deadline for ordering for the weekend is Thursday at 10:30. To change your preferences or to sign up for any of our other email services, click the link above. Mj's daily lunch emails are humorous and mouth-watering, Farmer John's Stormy Day emails let you know when stormy day shopping is declared. The Garden Guru email is sent in the spring and summer with gardening tips and information about new products in the garden center. Love Grilled Cheese? You Can Be A Judge! This year's Grilled Cheese Invitational will be held on March 19th, and we are looking for a guest judge to join the panel. "Why Bartlett's Farm should choose me to be a judge at the Third Annual Grilled Cheese Invitational"
The winner will be announced March 1. Read our Farm Blog for a peek behind the scenes.